The SAITM imbroglio appears to be dragging on without end. 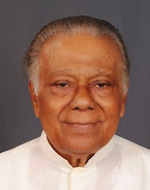 It is high time that the Government in power intervened resolutely as of late, to establish the credibility of Yahapalanaya and put an end to this colossal waste of the country’s assets, both material and intellectual, without habitually waiting Micawber-like, for something to turn up some day. I think sticking to the following formula should see an end to this fiasco. 1. The Medical Council plays a major role in the dispute. It is unfortunate that it happened to be dysfunctional at the spur of the moment due to the retirement of its Chairman. The first problem is to appoint a new Chairman. That is the privilege of the Minster of Health. However the GMOA does not appear to have faith in the person likely to be appointed. The GMOA does not have a decision-making role here. But as a prominent functionary in the medical field, it has a moral right to be concerned with the suitability of the Chairman of the MC. Obviously a person who has had dealings with the SAITM and benefitted from it in the past would not fit that role in the interests of natural justice. The Minister should play a conciliatory role here if he has the interests of the service in mind. That role is best discharged by acting on a recommendation of the MC on the choice of a Chairman for it. 2. Half the problem will be over with the appointment of a universally acceptable Chairman to the Medical Council. It will then proceed without any loss of time to enact regulations to provide for the following situations. a) Minimum qualifications required to enter a medical faculty, public or private. b) Conditions under which a first medical degree could be acquired in any sector. 3. The third question that may crop up is the question whether there is a place for free medical education in this country. Much may be said on both sides on this question but it is a policy question to be decided by the Legislature of the country that initiated the free education process. It is the Parliament that has the constitutional right to rule on the matter. It is a pity that that institution has not interfered so far to settle the argument that has been hanging fire, causing endless inconvenience to road users and allowing valuable national assets to go down the drain. May the Government take steps at least at this late stage to settle this policy matter? Until that is done sooner than later, it would be prudent to suspend recruitments to private medical facilities. Both sides may canvass their point peacefully with the Legislature. A final decision will be taken with a referendum, if necessary. 4. Students who have already entered private medical facilities present another problem. They have spent much time, funds and energy on this score and have to be looked after by the State. They cannot suffer or be faulted for the past commissions or omissions of Government and its seeming lack of vigilance. It is the State’s duty to provide for private medical students who satisfy the entrance requirements laid down by the MC to enter the profession. If this formula is acceptable to the Government the President must make a public announcement of the fact and fix a quick time tine to achieve the agreed objectives. He must simultaneously call upon the medical students on strike to resume their studies. They have already spent much time and energy in the pursuit of their studies. The ordinary tax-payer is spending much more through their nose to provide for them by way accommodation, tuition and training. That public investment has been summarily wasted for nearly a year due to the student strike which has already caused a hiatus of nearly one year in the process of production of doctors. There are thousands of less fortunate students down the line who would be only too glad to take the strikers’ place, thus bettering their prospects and stopping the ongoing colossal waste of public funds. If the current students insist on continuing their boycott despite the acceptance of the above settlement, the Government would have no alternative but to terminate their studentships and fill them with suitable substitutes who would be glad to fill the places of the recalcitrant. It is the failure of Yahapalanaya to put an early and effective end to the SAITM fiasco that has caused a massive loss to medical studies in the public sector. It is hoped that the prompt application of the above formula would restore medical education in this country to its traditional prestigious level. Ravi’s Penthouse Or Ranil’s House Of Cards? Answers have already been given. 1 Neville Fernando Hospital is now a public hospital and training can be provides there for all SAITM students. 2 Kiriella and Rajitha have said that SAITM will not be closed or nationalized and that means private medical education will continue. This is the view of the government. 3 Hopefully SAARC medical Uni will be established in Colombo to further enhance private medical education. 4 The cartel created by GMOA, SLMC, medical academics etc should be dealt with in the future. Hats off to Sirisena and Ranil for sorting out Hambantota port in July and hopefully in August we would have the good news on way forward for private medical education as well. Nobody understands the obvious that the govt. is waiting for court verdict to complete the procedure they have already started re SAITM issue. Their Colombo East teaching hospital is now in govt. with free treatment. Nobody will grab private institute from owner Dr. Neville Fernando. Also seeing the quality of the street marching local ‘Z’ it would seem better to have private education than chase the well behaved youth out of this nation. What is the future ruled by rabids? Very good set of proposals by this writer with lot of experience. Government if allows the SAITM issue to drag further then the losers are the striking university students, general public and at the end the credibility of the country. Most Sri Lankan failed to understand the “value of money” and create situations which will cost millions to the tax payer and the economy. I hope President will instruct the Minister of Health to appoint a well respected Medical person as the head of the Council and do what the writer proposed to end this waste of time, money and valuable resources. Mr. Gunadheera: Don’t you think the suggestion you made in (3) must be the number (1). This Government is committed to “Privatization” as evidenced from varying projects that have been initiated and in the offing. So why can’t the Government clearly state it’s POLICY on “Privatization of Medical Studies”? If that policy declaration is made public, this demand for closing SAITM would not arise; because that private enterprise places into the Public Policy domain. Let those Political Parties and other Civil Society Organizations opposing that “Policy” of the Government canvass against it (the Policy) in a different format and it would be a matter for the people to decide which way to go. Ifa Senior MBBS wrote this article we can believe it. Otherwise, it is just another opinion. It is not a secret that medicos get their degree, after the internship leave the country. Some of those who stay there come and work for minimum wages in other jobs. I noticed those people are those who specialized in fields that are not demanding in the society. I wonder the quality of the doctors that fight for socialist kind of education. How can a govt educated every one only with govt money. There are so many new equipment. So, only thing the lecturers can do is say there is a equipment like this or show them one which a few decades old. Besides, there is a shortage of doctors in Sri lanka. So, why there should not be private medical colleges?. there may be short comings. correct those gaps. Make it a better school. I think right now it is simply jealousy and the existing doctors want to make money out of these interns saying they are not properly trained because of that come to our tuition classes and learn from us too. Instead the govt can extend the intern period. On the SAITM issue the GoSL is lopsided. 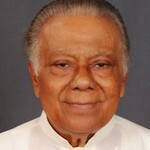 For example it was reported that Colombo and Peradeniya Universities are up for privatization. Then yesterday there was this SAARC medical college or whatever. On top of this the Ministry had the popup thanking SIATM for donating the private hospital. These are red herrings to justify the elite SAITM. Looks like SAITM will be recognized amidst lots of promises which will be ignored. There is this parallel article in CT “Asiri Hospital Wants New BOI Board To Help Facilitate Tax Evasion Whilst Continuing To Deny Free Services To The Poor”. How did Asiri evade the original undertaking. Sorry Somapala Gunadheera. Ignoring the grievances of the medical students will create future long term problems. Medical education should not be in any form in the hands of politicians as in developed countries. Based on this, the Chairman of the SLMC (the licencing body) should be ELECTED by the medical professionals similar to that of developed countries. However, the Chairman should not be in a position to make final decisions without the agreement of all council members. The primary functions of the SLMC should be accreditation of medical schools and issuing licences to practice medicine. As the author states the criteria should be clear cut and in no way should be amended for any one’s personal gain. Admission to all Sri Lanka’s Medical schools either state or private, should be only through a single merit list based on academic achievements of Sri Lankan A/L examination. It is important to note that our country needs more medical professionals and therefore possibly private medical schools. However, it is important that we only admit top quality students to maintain higher professional standards. Students who have already entered unaccredited private medical schools should sit and pass the SLMC’s ERPM exam prior to issuance of licences. Sorry, you will not be allowed to sit for ERPM if the medical school is unaccredited. Stop giving wrong opinions. ERPM is only for foreign medical graduates whose entry requirements include the ‘Z’ as well as other equivalent A/Ls based on rules already approved. Don’t add to the confusion. SLMC is unreliable and stopped ERPM this year leaving fmg stranded and they filed SC case for justice. It is foolish for you to point out about ERPM . I stated that only for SAITM students who have already graduated and it should be only a one time deal. If accredited by the SLMC you don’t need to talk about z scores or any kind of A/L results as the SLMC has already looked at it for accreditation. You seem to get easily confused. What profession are you in? Govt. policy already formulated International Uni for SL and many will participate. “top quality” surfaces not only at “Z”, but more importantly at MBBS and then at consultant exams, which these “street urchins” will not reach now. The real FORMULA the author is looking for is for a system which allows all citizens who want to study here, to be able to do so, whether fee or free. What right has any devil to try to stop another from improving himself in education, health, wealth, religion or other aspects. Leave policy decisions to those who are authorized in their respective fields, without ignorant skewed interference. You say “The real FORMULA the author is looking for is for a system which allows all citizens who want to study here, to be able to do so, whether fee or free. What right has any devil to try to stop another from improving himself in education, health, wealth, religion or other aspects. “. The reality is, we all want/like to “do” and “be” of our liking, but that, for many won’t materialize. Just because you are ready to pay a “fee” or want to “be educated”, have “wealth” and “health” or anything else, the country can’t just supply all these. The only thing the country can do is give you an opportunity to achieve all what you list here. It is your hard work that will allow you to achieve what you want. You need to compete with other A/L students to be selected to do medicine. Just because you are willing to pay a “fee” does not qualify you to become a Doctor! Yes, you are right policy decisions should be made by authorities of respective fields. In case of Medicine it should be highly qualified medics not politicians who decides who’s competent to practice medicine. Govt. policy can formulate International Universities for SL, but when it comes to medicine the SLMC will decide whether those medical schools will be accredited or not. Remember, an important part of the accreditation is admission criteria of students. So, the ability to pay “fees” will not be a criteria for selection but academic achievement will be. The more you wright the more you show your poor understanding of medical education and licencing. Alternatively, you have somebody in SAITM and therefore you refuse to accept the reality. SLMC is not malicious in any form. They have every right to decide who gets medical licenses and who doesn’t. The legal system has no right to order SLMC to issue licence to individuals who are deemed unqualified by SLMC. It is like the court ordering to issue pilot licencing to some one who went through a non accredited flying school! As you say if the gov. feels that SLMC is incompetent or biased in licencing, the Gov. should take it over (politicians) by bringing in new legislation. If you think competing with other students at the A/L is biased, you should take this issue with the Gov.. Fight them to get rid of all those district basis, Z scores etc. etc.. That issue has nothing to do with the SLMC! It is not the SLMC that enforce this admission criteria. SLMC is under its own authority in licencing. Gov. has no authority in overriding professional authority. What is next? the gov. has the authority to order physicians how treatment procedures should be?? ?